Posters from photos using your personal photography in stunning, high quality – our professional lab will ensure that your pictures are printed at their very best. Posters from photos will bring your memories and images of holidays or special occasions to life. 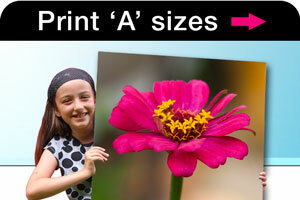 Create large prints from your smart phone, iPhone or camera. It's easy, upload your photo online today and create your personal photography poster! Fast UK despatch. Posters from photos taken with iPhones, mobiles, iPads, tablets or cameras. Our posters from photos will provide you with beautiful large prints to enhance your home décor for years to come. We offer a high quality custom framing service with fast despatch. Simply upload your photo and try our easy to use online framing service. With our wide selection of size choices and beautiful wooden frames, you can create perfect photo frame. 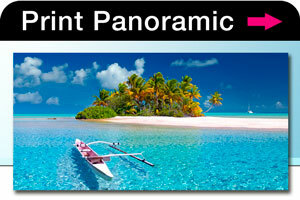 Our stunning panorama photo printing will display your pictures in high resolution with vibrant colours. We print ensuring that we emphasize the best in your large panoramic photos, adjusting the lightness or darkness of the picture if necessary. If your panoramic photo picture is a little too dark, our photography experts will subtly lighten it in order that you receive the best possible photo print. See our tips on panoramic photography. Our large range of panoramic print sizes is unique to our company, specially designed to fit panoramic photos from iPhones, mobiles, iPads, tablets or cameras. 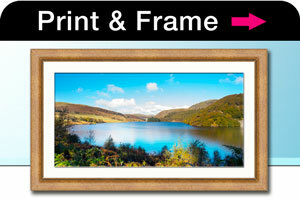 We print the complete range of A sizes, A4, A3, A2, A1, A0 posters from photos, quality prints to hang on your wall. All of our photo poster printing is in high resolution. Choose from matte finish, gloss or semi-gloss paper, perfect for decoration that will enhance your home or office for years to come. Square photo prints from your digital photos can be difficult to achieve. 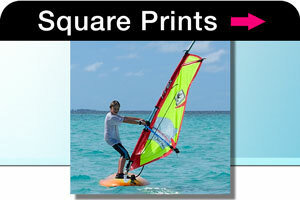 However, we offer square photo prints as part of our unique range of sizes. For a modern, trendy look, why not upload your photo to our website. Your standard size image can be cropped exactly as you like with our simple to use web tools. Print square photos (starting at 12x12 inch) for crisp modern wall decor, printed in the same high resolution as all of our posters. Whether you need a panoramic photo framing for your picture, a traditional A4, A3, A2, A1 framed print or a stylish square photo frame… look no further. Our unique Poster Print ideals also apply to our framing service. We aim to offer you a high quality custom product with a unique selection of sizes and personal service. Why not take a look at our picture framing and peruse our high quality frames to see if we can create your beautiful, unique wall art. Our goal is to supply our customers with stunning wall art that you are entirely happy with. We hope that you will be impressed by the printing quality and vibrancy of your images when they are transformed into a high quality poster print. We endeavour to provide our service as quickly as possibly, normally printed and shipped next working day. All of the equipment and software used to create our digital poster prints are the best available on the market. We print for photographers and artists as well as photography enthusiasts, so you can be assured that our poster printing service meets the highest standards. A unique way to take your digital images and bring them alive, decorating your sitting room, bedroom or office. We print and despatch next working day throughout the UK, making our service fast and reliable. All our posters are printed using premium photo poster paper, printed in high resolution using photo quality paper from major manufacturers like with a proven track record for excellent colour reproduction, providing up to 75 years fade resistance. Our easy to use website gives you precise control over the cropping of your image so that your personal wall art will be exactly as you wish.